Today, HRC celebrated the election of civil rights prosecutor Doug Jones over Roy Moore, the bigoted anti-LGBTQ politician twice ousted from the Alabama Supreme Court for ethics violations and recently accused of serially preying on teen girls. For nearly two years, HRC has engaged in a ground campaign against Roy Moore in Alabama in an effort to stop his attacks on LGBTQ people across the state. In 2016, HRC Alabama initiated the #NoMoore campaign to remove Moore from the Alabama Supreme Court for refusing to implement a ruling that brought marriage equality to Alabama. HRC succeeded; following a review by the Alabama Judicial Inquiry Commission, Moore was suspended from the bench without pay for his actions -- the second time that he was removed from that position for disobeying legal and ethical standards. 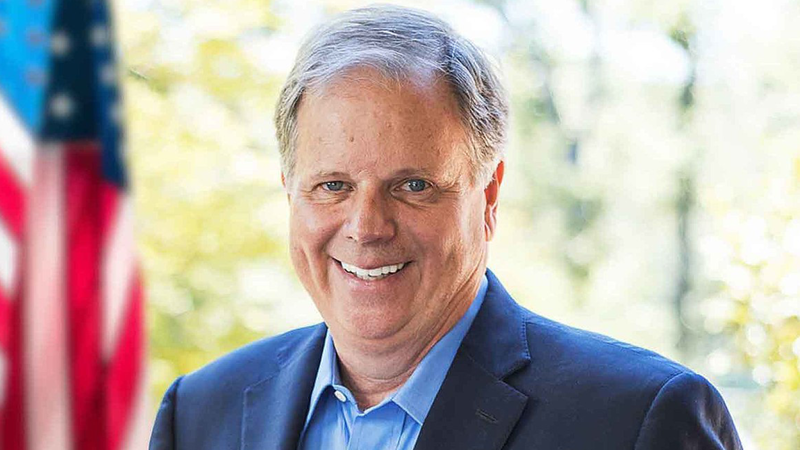 HRC proudly endorsed Doug Jones in special Senate election. In the run up to Election Day, HRC organized at least 20 GOTV events, including phone banks, canvasses and community events. In the past 60 days, more than 160 HRC volunteers and 11 HRC staff worked to reach the nearly 200,000 “Equality Voters” across Alabama -- a voting bloc comprised of not only the 60,000 LGBTQ voters across Alabama, but allies HRC has identified. In total, HRC volunteers have logged 583 hours -- or 24 days -- towards GOTV efforts. During the Republican primary earlier this fall, HRC also took the unusual step of launching direct mail, online ads, and robocalls targeting receptive voters to make them aware of Moore’s extreme views. HRC also partnered with allied civil rights organizations, including the NAACP of Alabama and others, to increase voter turnout. Now, the same progressive energy that carried Doug Jones to victory today will be crucial in winning back a pro-equality majority in the U.S. Senate in 2018. Earlier this year, HRC launched the earliest, largest grassroots expansion in its history ahead of the crucial 2018 elections. This work will be critical in ensuring that all Americans are treated equally, everywhere. From attacking marriage equality, to denying a lesbian mother custody of her child, to calling for the criminalization of LGBTQ people, Roy Moore has made a career out of peddling hate and attacking LGBTQ Alabamians. Moore also supports banning transgender troops currently bravely serving in the military, has compared LGBTQ people to animals, and claimed that they are unfit to be parents. This year, he took his extremism one step further by aligning himself with Vladimir Putin -- who initiated a brutal crackdown on LGBTQ Russians and is complicit in the torture and murder of gay and bisexual men in Chechnya -- specifically citing both of their views on LGBTQ rights.